New York saxophonist Alex Weitz has an in-depth knowledge of composition that imbues his originals with robust, memorable melodies and structural integrity. The classical rigor of those melodies is just as evident in the way he improvises around them. 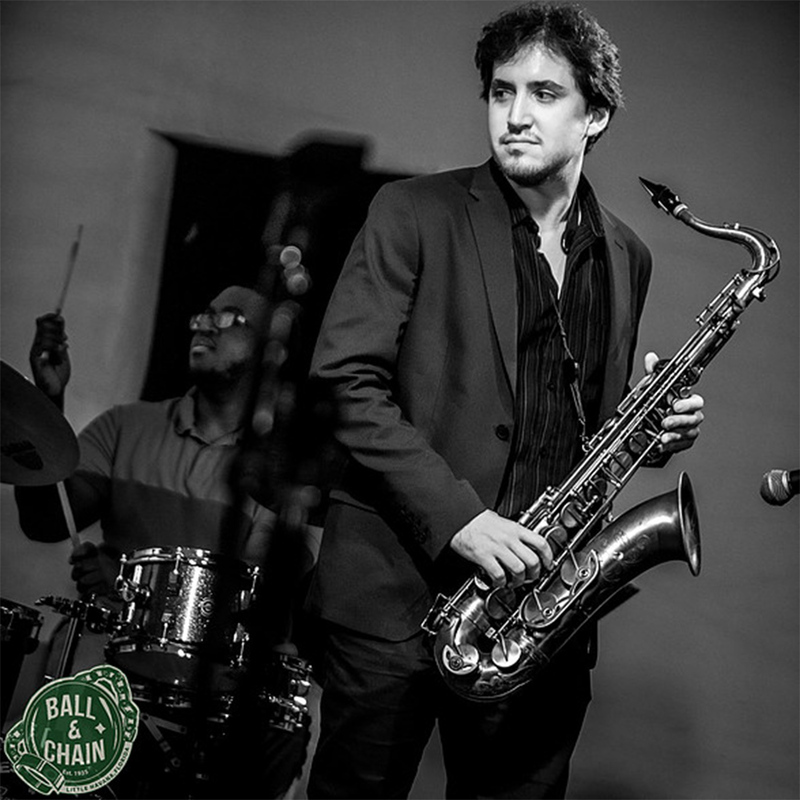 Since graduating from Miami’s Frost School of Music, Alex’s primary musical focus has been on performing, composing, and producing music with his ensemble, the Alex Weitz Group. March of 2013 saw their debut release “Chroma,” and after a long-awaited return his sophomore record, “Luma.” Weitz has appeared at such topflight venues as the Kennedy Center, the Monterey Jazz Festival, the Arsht Center, the Tucson Jazz Festival, Gusman Hall, the Azamara Journey, the Telluride Jazz Festival, and numerous local, national, and international venues with his own group and as a sideman. In recognition of his excellence, Weitz received DownBeat’s Outstanding Undergraduate Soloist award of 2013, as well as recognition from ASCAP as an outstanding young jazz composer, and in 2014 his original “Song for Peace” was featured as the theme song for the Swedish documentary, “Bettan’s Taxi.” The upcoming year is already looking to be a breakout one for Weitz, and with the release of “Luma” it’s only a matter of time before discerning ears will awaken to his unmistakable voice.